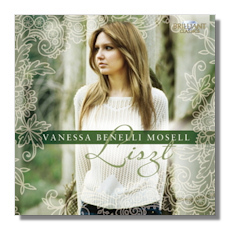 Classical Net Review - Liszt - Valse impromptu, Capriccio alla turca, etc. On this new disc Benelli Mosell plays with an all-encompassing technique and has the interpretive acumen of a seasoned master, the latter quality showing through despite her choice of mostly lighter and virtuosic repertory here. Iconic French pianist Pascal Rogé, with whom Benelli Mosell debuted in duo-piano repertory at age eleven, described her as the "most natural talent I have ever encountered in my entire life…" Listening to this disc, it's easy to see why he heaped such lavish praise on her.